One Mom's Moxie: My make-up came today!!! Ok so I get e.l.f. cosmetics emails everyday, e.l.f. stands for eyes, lips and face, and last week I received an email I couldn't resist! If I spent only $1 I would receive the 27 Piece Mini Makeup Collection for FREE!! Regular price is $15! Of course I had to order and get my free makeup, I think some companies know that I am slightly obsessed with makeup, what they don't know it that I am picky and I like deals very much. So I ordered my Essentials All Over Cover Stick for $1 and paid the S&H which my total came to $7.95! That was an incredible deal. So I placed this order on September 15th and I got my order today. YAY! After check out if you would like a free gift all you need to do is enter three friends or family's email address. I did this expecting a sample, I was pleasantly surprised to find a Essential HyperShine Lipgloss in BerryCherry. This is not normally a color I would pick but wow it is beautiful! 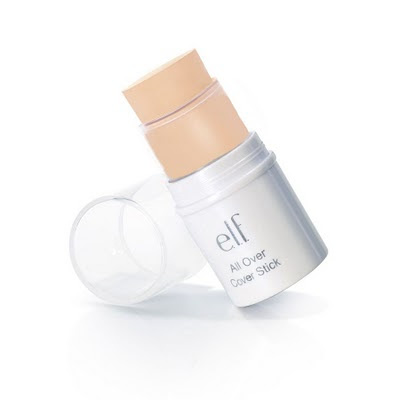 If you haven't used e.l.f. cosmetics before I suggest you try at least one product! Who knows maybe I'll be doing an e.l.f. giveaway soon :) Thanks for stopping by! *No monetary compensation was exchanged, all opinions expressed are solely mine and were not influenced in any manner. e.l.f. was not a part or aware of this posting. Looks great! A good deal also! I am happy to be a Follower of your Blog. I just wanted to thank you for your sweet comment and for following me. I came over to return the favor. 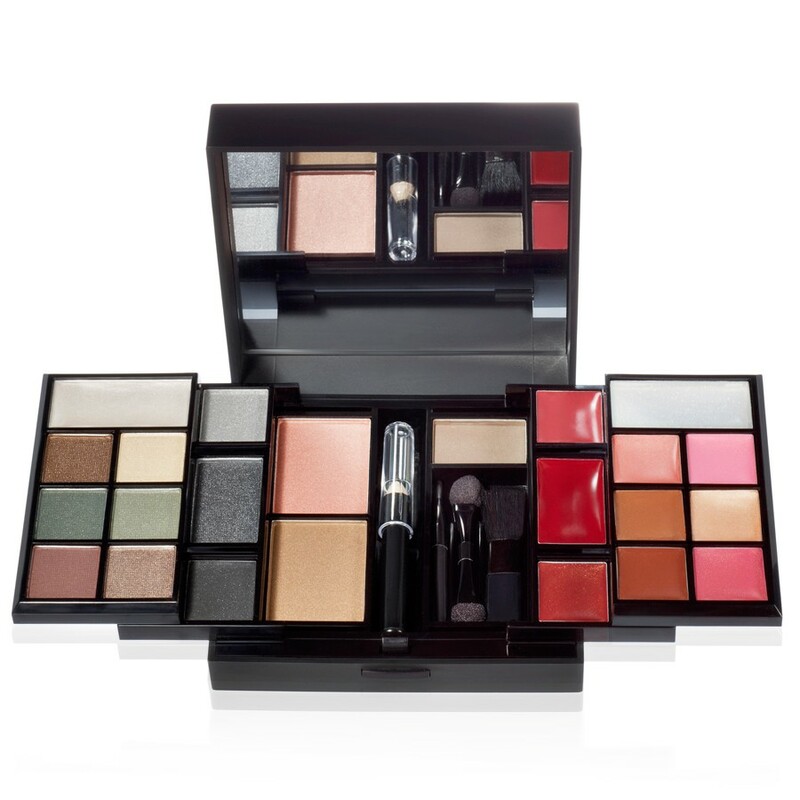 Oooh, I do love me some makeup - and a great deal on top of that! :) I've never tried the Elf brand... maybe I should? I look forward to keeping up with you! Have a great day! following back from the blog hop! Thanks for visiting! Thanks for the follow! Following back! That's a great deal on the make-up, too! Thanks for following...my fibro has been out of control..wonder if its weather related....great blog...I am following back.. I love elf! They have such great products! Some E.L.F. items are a hit and miss but by god I found some amazing things for $10 and under! Their foundation brush and eyeshadow brush are amazing for me. Thanks for following me, I'm returning the favor! Hi, thanks for the follow! I'm following back:) I've never heard of Elf, but I'll check it out now! Thanks for stopping by my blog, following back now. I'm a great fan of cosmetics and i hope to check it out. how exciting!! if i wasn't so loyal to my MAC makeup i probably would have taken the deal too! Hi Elizabeth, thanks for the follow. Returning the favor. i won a GC for elf products, so i wqas able to try it for the first time...they are great and affordable, too! the waterproof eyeliner pen is my fave so far! Very nice! I love new makeup, so pretty and girly and what a great deal you snagged!! Thanks for joining our cafe blog hop today. I dropped by to follow you back. Hi. Thanks for dropping by. I am following you back. That's an amazing deal! Way to go! 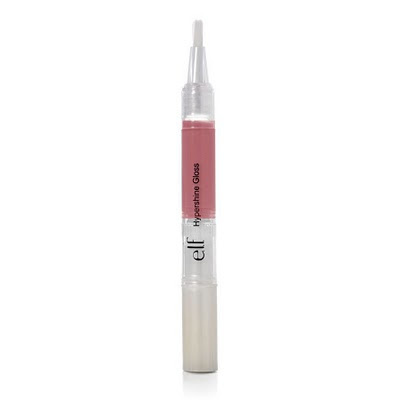 i love the e.l.f cosmetics are so affordable! I found you while blog hopping. I am new to the blog world too. I am following you. Can you return the favor? Oops! I didn't add a link. See I really am new to blogging. wow - that is an amazing deal. Thanks for following. Your comment was hilarious. Following you back. What a great deal! You scored with that one. Thanks for linking up with us today for the bloghop...I am your newest follower! Happy Thursday! Thanks so much for stopping by my blog! Following you back! Thanks for following my blog. Now following you back. Have a great day! Newest follower! Come check out my blog. Great blog! Following you back! Thanks for following Adithis Amma Sews. Following you back! Please do keep visiting for more sewing tutorials, fashion tips! @Tiffany You can gift it this way, lol jk!! Thank you to all my new followers, I appreciate you coming and being a part of my blog! Keep an eye out from some great giveaways coming soon! Thank you for stopping by! I am following back! I am always looking for new makeup! I have to try elf!